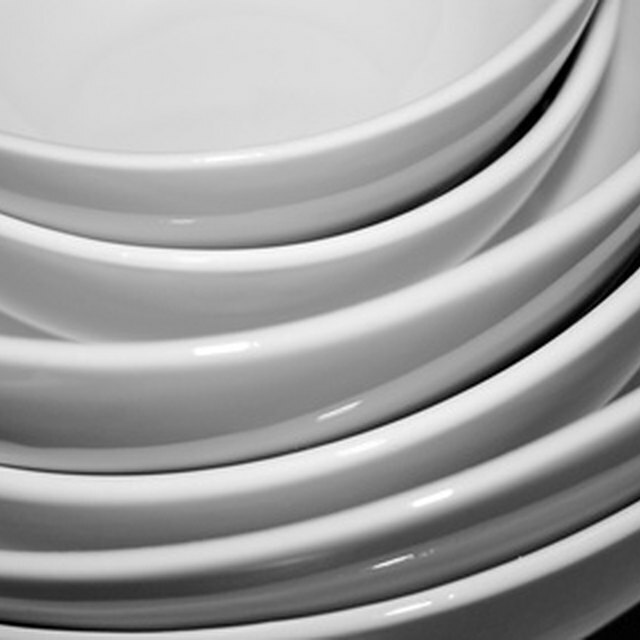 A dishwasher can make short work of the dishes and silverware from last night's dinner party. These appliances work by pulling in water from your home's water supply, mixing it with detergent and spraying this on your dirty dishes to remove all the food and other debris. The dirty water is then pumped out by the dishwasher and sent to the sewage system of your home. Some municipalities require a device called an "air gap" to be installed with all dishwashers. This prevents the dirty water in the dishwasher from being siphoned back into the water supply. However, this is not yet a requirement everywhere. If you live in a location without these restrictions, you can install a dishwasher without an air gap. Tired of washing by hand? Try a dishwasher. Decide on a location for your dishwasher. This appliance needs three connections to work properly: electric, water and sewage. The easiest location to place a dishwasher is immediately adjacent to your kitchen sink. Use the measuring tape to make sure there is enough room underneath the counter to hold the dishwasher, and that the depth of the counter also allows space for the appliance. Ensure that you have a free circuit available at your main panel for the dishwasher, as these appliances use a lot of electricity. Run a wire from the main panel over to where you will be installing the dishwasher. Unless you are a certified electrician, you will have to have a professional perform this step. Check the sewage outlet. There are two options for where you can connect the drain on the dishwasher: into the sink trap or into a garbage disposal. If you have a disposal, it should already have an additional inlet for a dishwasher drain hose. If you are connecting to the sink trap, and there is no inlet for a drain hose, you will have to install a new trap with an inlet for the dishwasher drain pipe. Consult with a professional if you are unsure about hooking up the plumbing. Remove any packaging from the dishwasher, including any shipping screws. These are placed to keep the dishwasher together in transit. Follow the instructions that came from the manufacturer. Maneuver the dishwasher over to where it will be installed, but do not place it into position yet. For example, if the dishwasher is going to be installed underneath a kitchen counter, move the dishwasher over next to the counter, but not underneath. This will allow you to hook up the utilities the dishwasher needs. Run a water supply hose from the water supply valve underneath to the washer. Wrap the threads on the water supply inlet with plumber's tape, then thread the hose coupling on the inlet. Tighten this hand-tight at first, then add an additional turn with the adjustable wrench. Connect the electric wire from Step 2 to the terminals on the dishwasher. Secure in place with the electrical tape. Run a drain hose from the dishwasher to either the sink trap or the garbage disposal. Secure in place with hose clamps. Push the dishwasher into its final location, but not all the way. This will allow you to check on the drain and supply hoses in the next step. Restore power to the dishwasher circuit. Run a test wash in the washer, but do not load it with any dishes. Watch the water supply and drain hoses to make sure they are not leaking. Tighten any couplings or clamps as needed. If you are unsure about any part of this process, consult a professional. The above steps are just a guideline. Always follow your manufacturer's instructions.